World marathon record holder Wilson Kipsang is eyeing to set a new course record when he lines up for the 2014 London Marathon race on April 13. However, Kipsang is alive to the calibre of challenge that he will face as the organizers have confirmed a list of elite runners that includes the best over the 42-kilometer distance. "It is hard to break the world record in London. So what I plan is to set a new course record and hopefully, I will travel back to Berlin to try and lower down the world mark in September," Kipsang told Xinhua Tuesday in Iten. 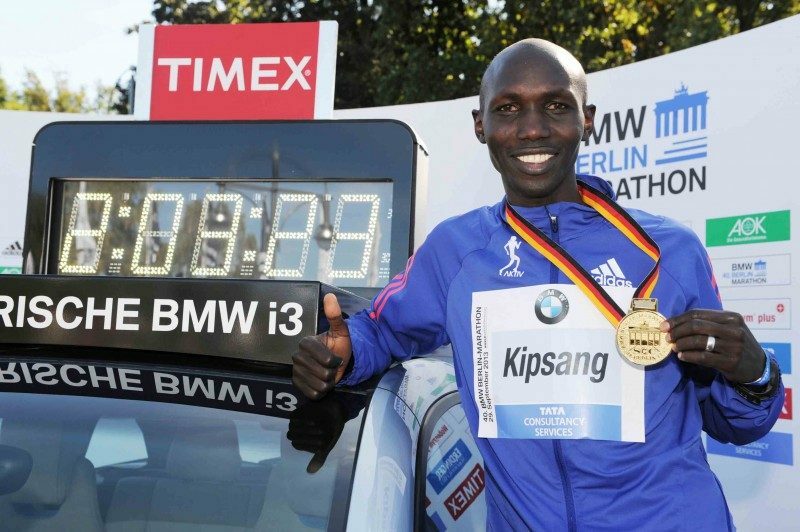 Kipsang broke the world record when he won last September's Berlin Marathon in two hours, three minutes and 23 seconds. He will be keen to regain the London Marathon title he won in 2012 just a few months before claiming the bronze medal at the London Olympics. "It is true I want my London marathon title back. There are no doubts about that, but it will all depend on the level of fitness of the other opponents," he said. Kipsang was fifth in last year's race when Tsegaye Kebede of Ethiopia triumphed in London for the second time.